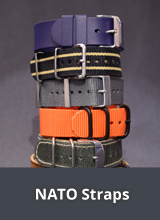 Here you will find selected replacement watch bands and other accessories (clasps etc.) 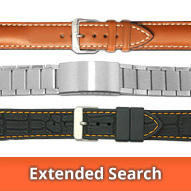 suitable for wrist watches from SEIKO. 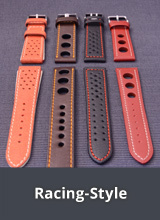 The watch bands offered are predominantly original replacement bands made of various materials (leather, metal, synthetic). 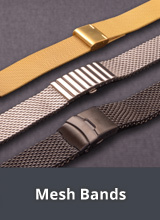 For more details please see the individual product descriptions. 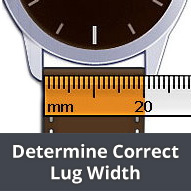 In order to choose the correct replacement watch band for your watch you will need to know the reference number of your watch and the lug width required. 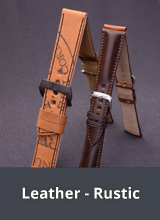 More information on this is also in the product description. 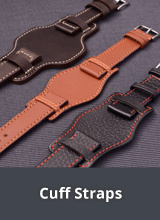 Please note that if your SEIKO watch has standard lugs and does not require a specialist watch strap, then you can choose a watch strap from our wide range of standard watch straps. NOTE: All listed trade marks, trade names and service names are the property of the respective owners and are used for identification purposes only..
5. 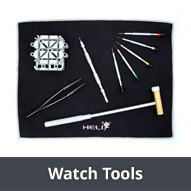 Replacement watch strap SEIKO 16mm silicone black smooth with clasp for SNL003P2 etc. 9. 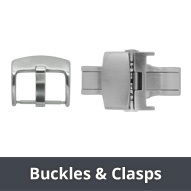 Replacement watch strap SEIKO black leather smooth special lug ends for SNAA41P1, SNAA45J1 etc.